Goa State Infrastructure Development Corporation Limited (GSIDC) is a wholly owned Government Company of the Government of Goa registered under the Indian Companies Act, 1956 with the Registrar of Companies, Panaji - Goa. The Registrar of Companies has allotted Certificate of Incorporation No. U75112GA2001C002954 (CIN) dated 20/02/2001. The authorized Share Capital of the Company is presently Rs.500.00 lakh. The present subscribed and paid up capital of the Company is Rs.310.00 lakh. The Government of Goa makes a provision in the State Budget towards Share Capital / contribution for the Company to meet its Funds requirements. GSIDC has been floated by the Government of Goa as a Special Purpose Vehicle (SPV) for speedy implementation of all the Infrastructural projects envisaged by the Government like Roads, Bridges, Fly-overs, Traffic Management, Bus Stands, Water Supply Augmentation, Hospitals, Tourism related projects, etc., all over the State on the similar lines of similar Corporations in other States (viz. MSRDC in Maharashtra). This would help in development of infrastructural facilities all over the State of Goa. This Corporation would act as a coordinating agency for implementing all the projects. The main objects of the Company are to construct, erect, build, re-model, repair, execute, develop, improve, administer, manage, control, maintain, demolish, grades, curve, pave, macadamize, cement, highways, airports, express routes, roads, paths, streets, bridges, sideways, tunnels, railroads, alleys, courts, pavements, dams, township schemes, docks, shipyards, seaware, canal, wells, ports, reservoirs, embankments, irrigations, reclamations, improvements, domestic and sanitary water treatment plants, entertainment complexes and / or parks, information technology parks, convention centres, seminar centres, exhibition complexes, infrastructural items, modes of transports or any other structural or architectural work and also to undertake other similar constructions, leveling or paving work, irrespective whether these works are presently carried out by any Government agencies including PWD or not, under the BOOT and or BOT or BOLT scheme in a manner which will facilitate to undertake the above-mentioned work. The objects incidental or ancillary to the attainment of the main objects and the other objects of the Company are set out in the Memorandum of the Company. 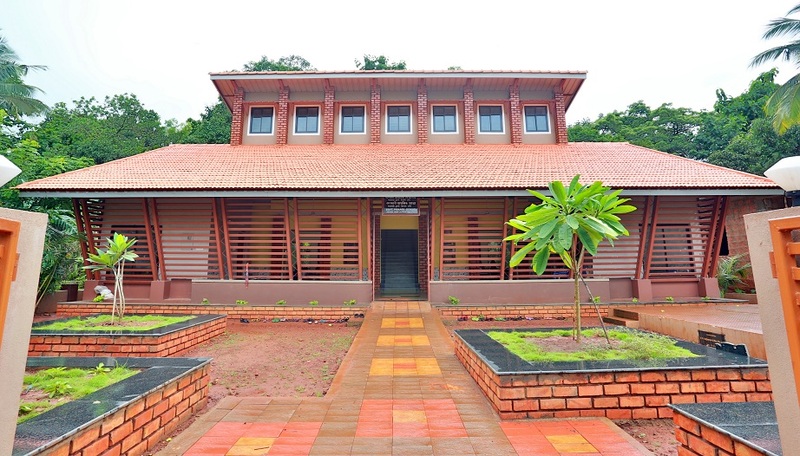 GSIDC has embarked on a mission to serve the need of public by commissioning Infrastructure projects merging with the ambiance of Goan Architecture and being eco-friendly. To achieve hallmark in the rapid qualitative design and construction of Infrastructures mainly in Roads, Bridges and Building Sectors. Panaji – Goa 403 001. Monday to Friday (excluding public holidays, Saturdays and Sundays) between 9.30 AM – 5.45 PM. GSIDC is a pioneer in the facilitation of infrastructure for the State of Goa; its activities revolve around infrastructure. GSIDC is like a node wherein the Client Departments of the government approach with proposals for their infrastructural requirements. The activities commence with the appointment of Consultants of the proposed project through competitive bidding. Once the Consultant comes up with a preliminary concept of the proposed project, GSIDC invites the representative of the Client Department for the presentation. Here the concept is frozen on the approval and satisfaction of the Client Department. The Consultant assists the Client Departments to submit proposals to the various Statutory Bodies for the mandatory approvals. GSIDC acts like a catalyst in speeding up the process of taking clearances and approvals of these statutory bodies. GSIDC ensures that the guidelines and norms laid down by these Statutory Bodies are adhered.